A banker took a few work mates and myself to dinner the other night, and we headed to the Subiaco Hotel, a fabulous spot that to date had not disappointed me. We started the night we a cleansing ale – I favoured the James Squire Golden Ale – nice! 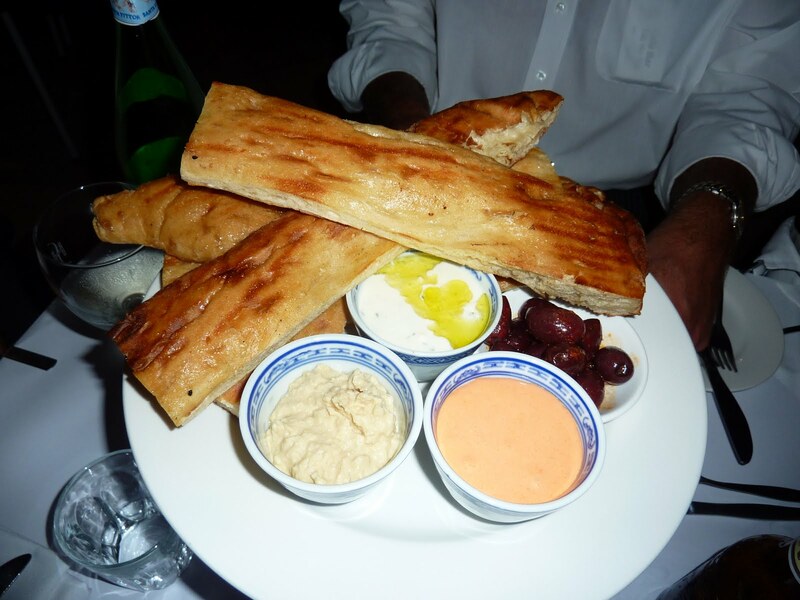 To start we shared a platter of turkish bread and dips…. thought it worth nothing that the platter below has two extra serves of turkish bread… just two would never have worked… the whole dip to bread ratio would have been well out! The bread was delicious – very fresh and tasty. The dips were tasty too, my only complaint is that orange dip is either capscicum or salmon and it would be nice to be told as fish dip does nothing for me! 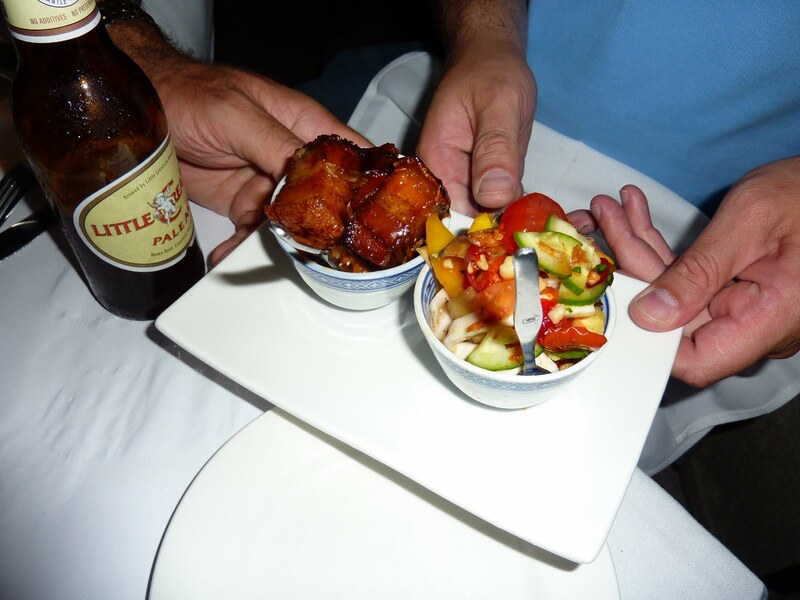 We also shared some pork belly with this delicious coconut salad. It had strips of fresh coconut which was so good! The pork belly was melt in your mouth amazing. The only thing I wished was that there was more more more. I’m going to put it out there that it is actually the best I’ve ever had. 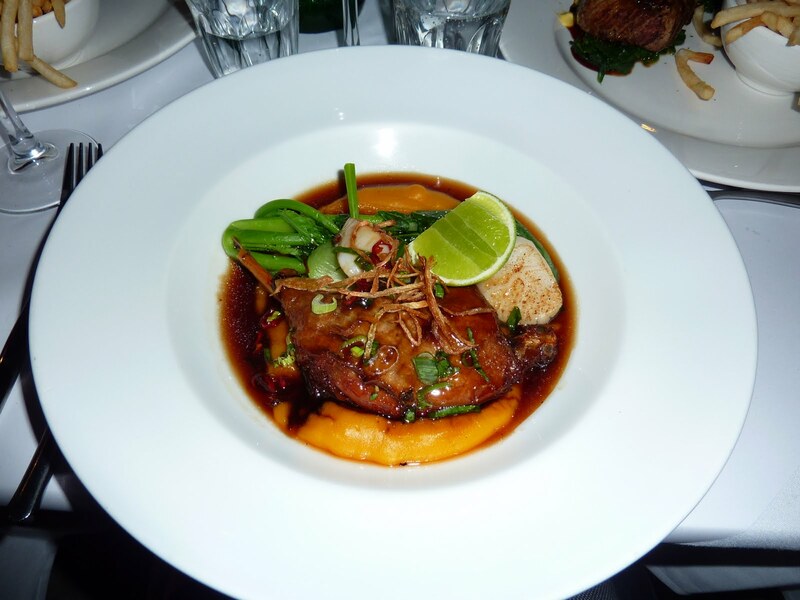 Then for the mains I went with the duck special which just fell off the bone and the flavours were amazing! Served with some crispy greens, it was entirely enjoyable, especially with the spritz of lime. 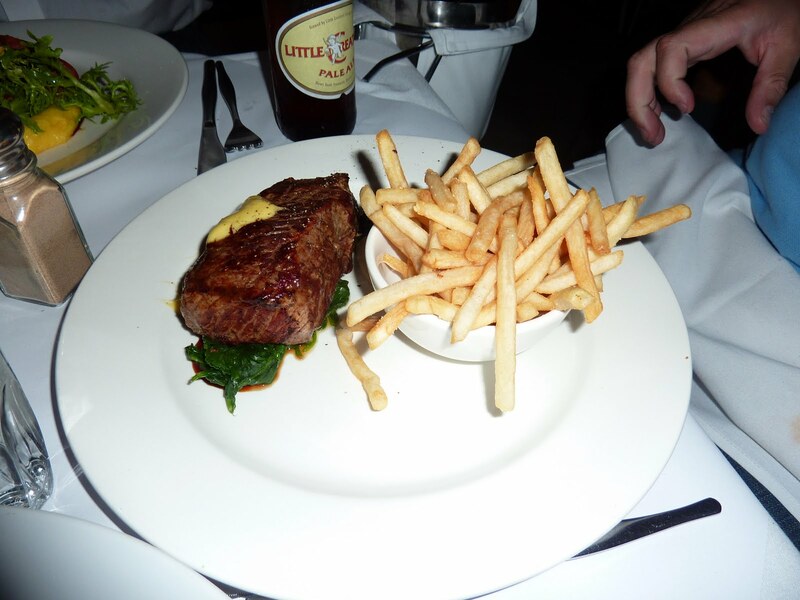 Two of the lads went for the steak, served with shoe string fries and from all accounts it was fairly delicious and a nice cut of meat. 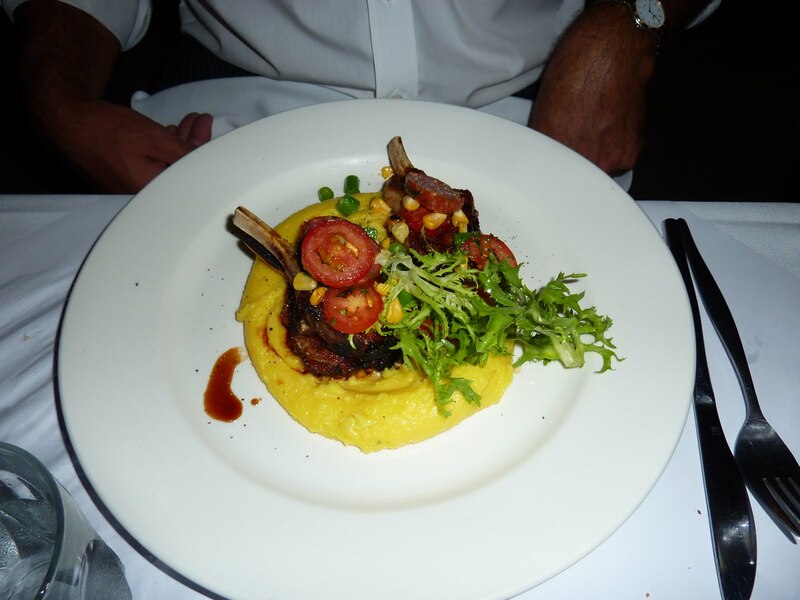 And the boss went for the lamb special and served on saffron mash – again it was a hit! I would go back to the Subi in a heartbeat!